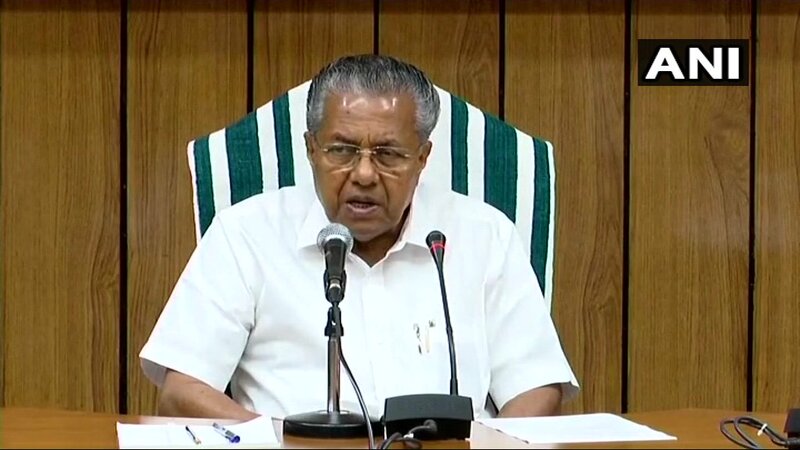 Sabarimala Temple Issue Updates: Kerala Chief Minister Pinarayi Vijayan Thursday addressed a press conference and blamed BJP for violence in the state over Sabarimala Temple row. 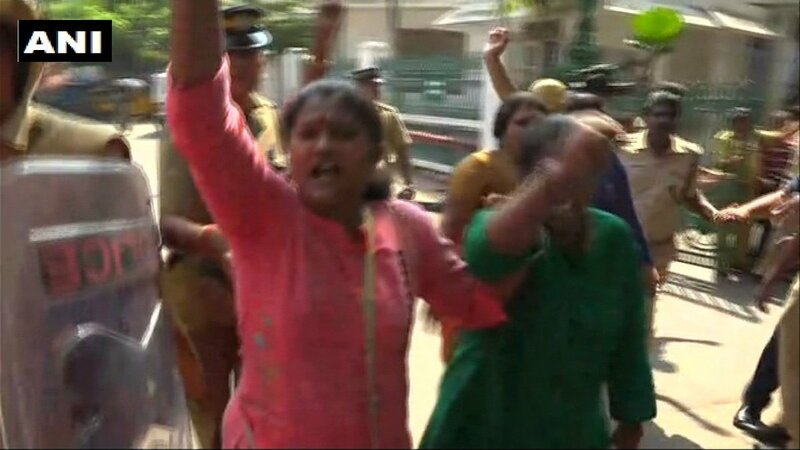 Sabarimala temple women?s entry Live Updates: Protest outside the state secretariat by police in state capital Thiruvananthapuram. Sabarimala Women’s Temple Entry Protest: Kerala Chief Minister Pinarayi Vijayan Thursday addressed a press conference and blamed BJP for violence in the state over Sabarimala Temple row. The chief minister said that BJP workers are indulged in vandalising shops and CPM party offices in the state. The entry of two women, who are in their 40s, in the Lord Ayyappa temple in Sabarimala has created a stir across Kerala. The women have offered prayers at the temple for the first time since the Supreme Court ordered the lift on the ban on entry of women aged 10 to 50. BJP activists showed black flags to Devaswom minister Kadakampally Surendran in Guruvayur where he had gone to attend a function. State Health minister K K Shylaja also faced the ire of activists of the Yuva Morcha and was shown black flags in Kannur. A group of women were protesting at Kerala Secretariat demanding CM Pinarayi Vijayan’s resignation. Five BJP Mahila Morcha members were stopped from entering the state secretariat by police in state capital Thiruvananthapuram. The two women, identified as Kanakadurga and Bindu entered the hill shrine at 3.38 am Wednesday. A video shows that women wearing the traditional black dress with their head covered. The temple was closed for a purification ritual soon after. CM Vijayan said that police had given them security to ensure that they do not face any protest. On December 24 last year, the two women had unsuccessfully tried to offer prayers at the shrine. The Lord Ayyappa temple had opened for the 22-day “Makaravilakku” festival on December 30, three days after the conclusion of the 41-day “mandala puja”. A 64-year old woman, Pathumma from Wayanad who came for treatment at the Regional Cancer Centre (RCC) here, collapsed and died at the railway station here in the morning, following which her relatives alleged that a delay in getting ambulance service resulted in her death. The protesters burnt tyres and placed granite blocks on roads to check vehicle transport in Kozhikode, Palakkad and Kollam. The local party offices of the ruling CPI(M) were pelted with stones in Ernakulam and Malappuram districts, police said. A library managed by the Left party in Palakkad was vandalised by protesters. Autorickshaws and private buses suffered damage during stone pelting in Kannur and Kozhikode, the police said. Besides buses, police patrol vehicles were also attacked in some places. 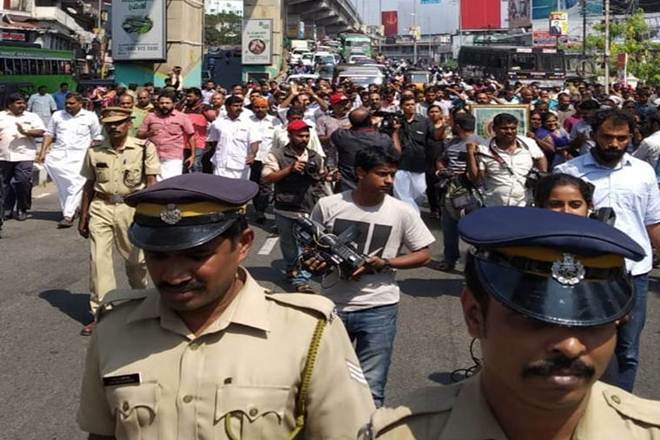 A day after two women entered the Sabarimala temple, Hindu outfits began their protests against the chief minister and called for a state-wide shutdown. On Thursday, protesters blocked roads by placing burning tyres and granite blocks. Reports suggest that three BJP workers sustained injury due to clash with police. PTI reports that hundreds of Hindu right-wing activists disrupted vehicular movement and vandalised shops and offices of the ruling CPI(M). A 55-year-old man, who was seriously injured in stone pelting at Pandalam, died late Wednesday night, police said. State-run KSRTC buses, which were pelted with stones during the violence on Wednesday by anti-women entry agitators, kept away from roads in many districts. Adding to the woes of the public, number of autorickshaws plying were very less. A large number of passengers, including women and children, were seen stranded at bus stands and railway stations across the state. Scores of women were seen protesting in Kerala. Kerala CM Pinarayi Vijayan in Trivandrum on Sabarimala Temple women entry issue: 7 police vehicles, 79 KSRTC buses destroyed and 39 police personnel attacked, till now. Most of the persons attacked were women. Women media persons were also attacked. Kerala CM on Sabarimala Temple issue: It's government's responsibility to give protection to women. The government has fulfilled this constitutional responsibility. Sangh Parivar is trying to make Sabarimala into a clash zone. Kerala Chief Minister Pinarayi Vijayan Thursday addressed a press conference and blamed BJP for violence in the state over Sabarimala Temple row. The chief minister said that BJP workers are indulged in vandalising shops and CPM party offices in the state. CPI general secretary Suravaram Sudhakar on Wednesday said that the two women who entered the shrine today early morning should have done it openly, PTI reports. "We want women's entry, but we don't want something secretly to be done. It is to be done openly, everybody should accept, that's our view," PTI quoted Reddy as saying. ANI reports clash erupted between BJP workers and the police during a protest over the entry of two women in Sabarimala temple. The Hindu outfits have begun protest against the state government for facilitating women entry into Lord Ayyappa shrine in Sabarimala. Two women in their 40s entered the temple in Sabarimala today morning. 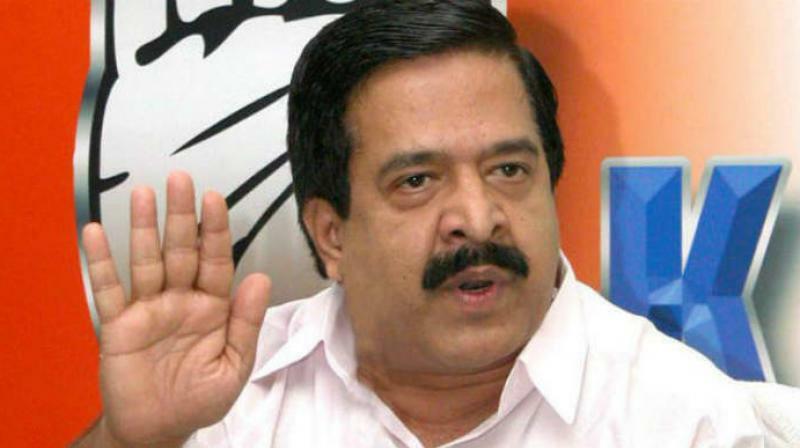 Leader of Opposition Ramesh Chennithala on Wednesday said that the entry of the women into the shrine 'hurt' the sentiments of devotees. He further said that it shows the attitude of the chief minister to take women of the traditionally barred age group to the temple, PTI reports. "Police acted on behalf of chief minister's direction. This was a result of the obstinate attitude of the chief minister," Chennithala said. State BJP chief P S Sreedharan Pillai on Wednesday hit out at the Kerala government saying that state administration will face the 'wrath' of Lord Ayyappa. He further said the government betrayed the sentiments of devotees by allowing the women to enter into the shrine. "The Communist leaders, their future generations, the Kerala government, all are not going to escape from Lord Ayyappa's wrath for all their wrong-doings at Sabarimala," PTI quoted Sreedharan Pillai as saying. 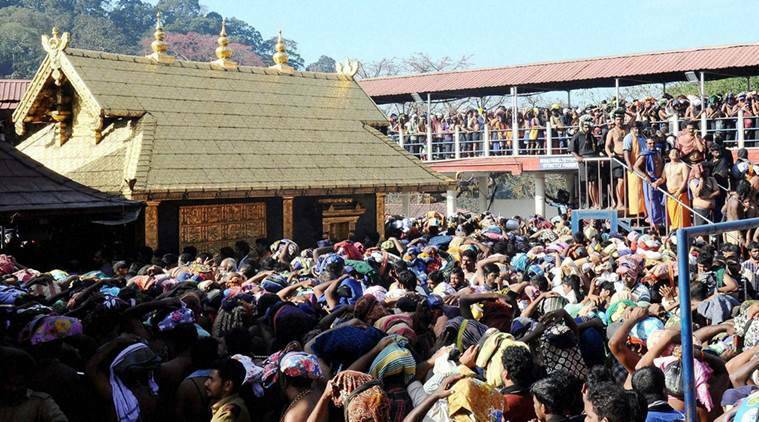 In protest of women entry into the shrine, Sabarimala Karma Samithi and Antarrashtriya Hindu Parishad have called a state-wide shutdown on Thursday. Both the Hindu outfits have been protesting against the Supreme Court verdict that allowed the women entry into Lord Ayappa temple. 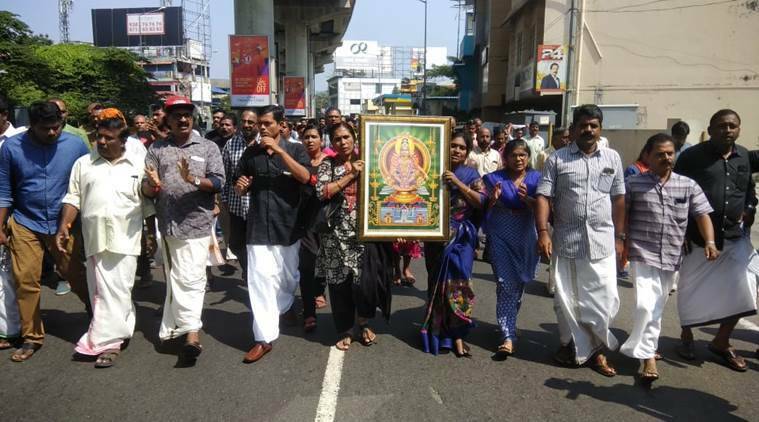 Lord Ayappa devotees have begun a procession march against the entry of two women into the shrine, The Indian Express reports. Today early morning, two women entered the Lord Ayyappa temple at Sabarimala and offered prayers. Kerala CM Pinarayi Vijayan said that the two women who entered the Sabarimala temple were given police protection. Reacting to the development, BJP state president PS Sreedharan Pillai said that Vijayan was a 'modern-day Aurangzeb' who was out to destroy Hindu temples. Senior CPI(M) leader Brinda Karat on Wednesday said that every woman has the right to worship at the Lord Ayyappa temple at Sabarimala, PTI reports. Her statement comes in the wake of reports suggesting two women offered prayers inside the shrine. Speaking on this, Karat told PTI: "Two women wanted to worship and they were enabled to do so and given the security required (by the government)." 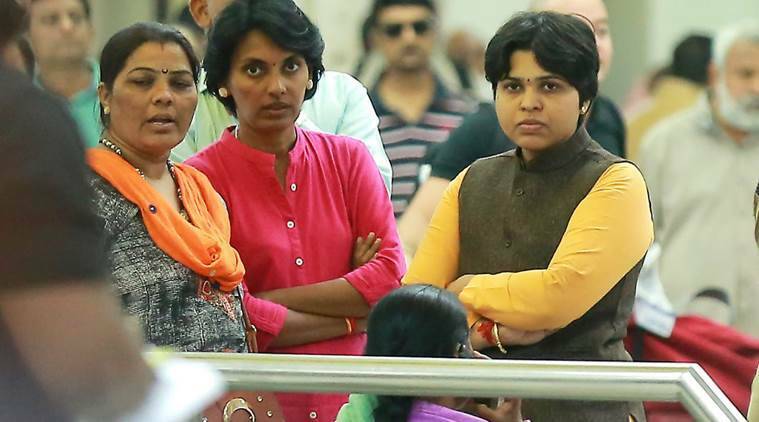 Social activist Trupti Desai on Wednesday hailed the entry of two women into Sabarimala Temple, PTI reports. She called it a 'victory of equality'. Last month, Desai tried to visit the shrine but was forced to return after stiff protests by Lord Ayappa devotees. Speaking on women's entry today, Desai told PTI: 'This is a big victory for our agitation. It is a victory for equality. This is a good beginning for women in the new year'. Following the report of two women entering Sabarimala, five BJP Mahila Morcha members began their protest against the entry into the shrine. 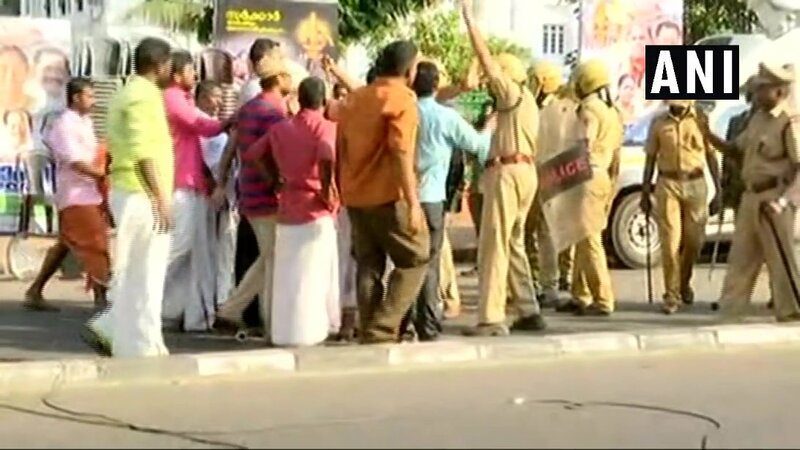 But the protestors were stopped from entering the state secretariat by police in Thiruvananthapuram. Travancore Devaswom Board (TDB) President A Padmakumar said he had no information about the two women offering prayers at the temple. TDB officials have been asked to view CCTV footage to verify their claim, he said. The temple had witnessed protests from frenzied devotees over the entry of women in the 10-50 age group in the shrine after the CPI(M)-led LDF government decided to implement a Supreme Court order allowing women of all age to offer prayers there. The main opposition Congress-led UDF and the BJP have been opposing the entry of young women, saying they are with the devotees. Bindu, a college lecturer and CPI(ML) activist from Kozhikode district's Koyilandy, and Kanakadurga, a civil supplies employee from Angadipuram in Malappuram, had come to Sabarimala on December 24 after 11 women activists of a Chennai-based outfit were prevented from reaching the shrine and chased away by devotees chanting Ayyappa mantras. The temple was opened on December 30 for the Makaravillaku festival and there has been a heavy rush of pilgrims. "Earlier, women were not able to enter the temple due to certain hurdles. They may have entered the shrine today because they would not have faced any issues. It is a fact that the women have entered Sabarimala. Police have given them security," Vijayan said. Despite the Supreme Court's verdict on September 28 last year, permitting women in the 10-50 age group, no children or young women in the 'barred' group were able to offer prayers at the shrine following frenzied protests by devotees and right wing outfits. The two women, identified as Kanakadurga (42) and Bindu (42), wearing the traditional black dress, with their heads covered, climbed the hill shrine at 3.38 am Wednesday.